Work Comp Wednesday - Class Code Review: What is Clerical? In workers’ comp insurance the clerical classification is one of the most widely used codes. When the typical injuries are paper cuts and eye strain it’s not exactly a risky exposure. Because of this it carries one of the lowest rates and has strict guidelines in order to qualify. Rating bureaus have developed strict guidelines that auditors must adhere to when assigning the clerical office classification. In doing so the integrity of the code is maintained along with its low rating. So what does qualify as clerical? The two main aspects to focus on are where the employee works and what the employee’s duties are. · Work area separated and distinguishable from all other work areas and hazards of the employer by floors, walls, partitions, counters, or other physical barriers. · In instances where clerical or drafting employees perform any other duties, the total payroll of such employees would be assigned to the highest rated classification representing any part of their work. We understand how complicated yet important the classification process can be. A misclassification can have a huge impact on the on a policy premium and can affect your bottom line. If there are ever any questions or concerns with classifications, payroll, or any other audit issues feel free to contact us at Bob Lancaster Insurance. We can review your policy with you to make sure it is correct. For many Americans, Memorial Day weekend is a three-day holiday that marks the unofficial start of summer. There's much more to it than that, of course. Memorial Day is intended to be a solemn occasion to honor American’s lost service men and women. It dates back to 1868, three years after the end of the Civil War, when Gen. John A. Logan of the Grand Army of the Republic, an organization of Union Army veterans, established Decoration Day as a time for the nation to decorate the graves of war dead with flowers. The first national celebration was held on May 30 that year at Arlington National Cemetery in Washington, D.C.
By the end of the 19th century, Memorial Day ceremonies had spread across the nation. In 1971, an act of Congress declared it a national holiday, moving it to the last Monday in May. Arlington remains a center of Memorial Day observances, with flags placed on each grave and ceremonies attended by the president or vice president. Washington plays host to the popular National Memorial Day Concert, broadcast live on PBS, the Sunday before the holiday and to the National Memorial Day Parade on Monday. But, you don't have to be in the nation's capital to take part. Here are four ways you can honor the memory of those who have died in service to our nation, wherever you are. On Memorial Day, the flag should be raised briskly to the top of the staff for a moment and then solemnly lowered to half-staff, where it should remain until noon. Then raise it to the top again for the remainder of the day. Since 1925, the American Legion Auxiliary has sold red crepe-paper poppies for Memorial Day and Veterans Day. The tradition of wearing the colorful flowers was inspired by John McCrea's 1915 poem about World War I losses, In Flanders Fields. A congressional resolution passed in 2000 calls on Americans to pause wherever they are at 3 p.m. local time on Memorial Day for a moment of silence to remember and honor the fallen. Arlington is just one of many national cemeteries located throughout the nation. Many states also have established veterans cemeteries. Check the Department of Veteran Affairs listings for a cemetery in your area. There likely will be a Memorial Day ceremony scheduled. Did you know? The crowd attending the first Memorial Day ceremony at Arlington National Cemetery in 1868 was roughly the same size as that attending modern-day observances, about 5,000 people. 1. Anytime you have an increase in property value or risk, you may need to increase your insurance coverage too. 2. Safety measures aren’t just nice to have. They may be required. Your town, municipality or insurance company may require a fence and locked gate for your pool and even have specific guidelines on the height of that fence. If your house opens directly into the pool area, you may also consider a door alarm and safety cover to keep pets, children and other non-swimmers safe. 3. Pool equipment, furniture and accessories increase the value of your personal belongings. Be sure to include any pool- or patio-related items of value when you add up how much your personal belongings are worth, and ensure you have enough coverage on your homeowners insurance policy. Keep in mind that per-item limits may apply, meaning the maximum amount payable on a single item is capped. If, for example, you have an expensive outdoor sound system, you may want to check the per-item limit for electronics. Expanded coverage is often available for high-value items. Above all, pose question after question to your independent insurance agent. Against which risks is damage to my pool covered? Is the pump covered too and under what circumstances? Working closely with an insurance agent in your area who understands your property and the local zoning laws is one of the best ways to fully understand how a pool may affect your homeowners insurance rates. We can help you find the right balance of coverages for your specific situation and help ensure your relaxing oasis isn’t an unmanageable risk. 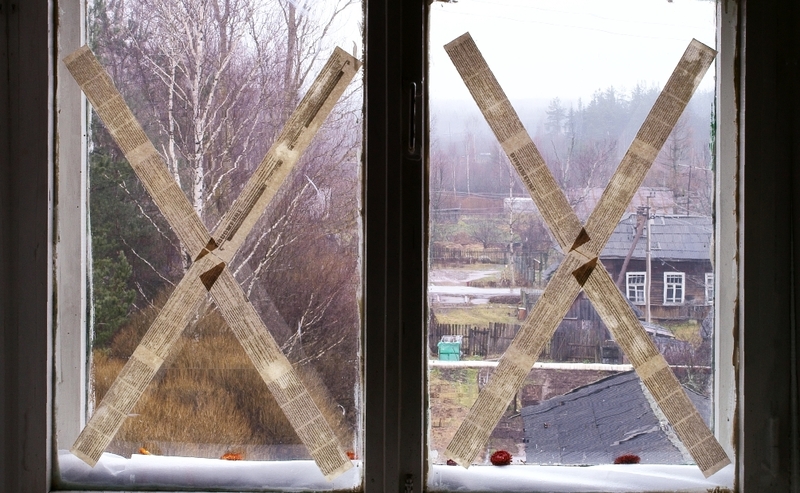 Does taping your windows really help prevent hurricane damage? You might be surprised. When it comes to hurricanes, there are a lot of myths out there. When should you evacuate? Is it expensive to strengthen your home? Many Americans actually don't know the correct answers to these questions. The Federal Alliance for Safe Homes (FLASH) recently conducted an online survey of 2,112 people age 18 and older in the U.S. The survey tested respondents' beliefs on specific hurricane mitigation, preparedness, and repsonse statements. The survey uncovered four big hurricane preparation myths that many Americans wrongly believe. One thing respondents did know, however, is that flooding is not covered by homeowners insurance (52%). Only 21% of respondents believed most homeowners insurance policies cover flooding, while 27% said they don't think flood is covered. 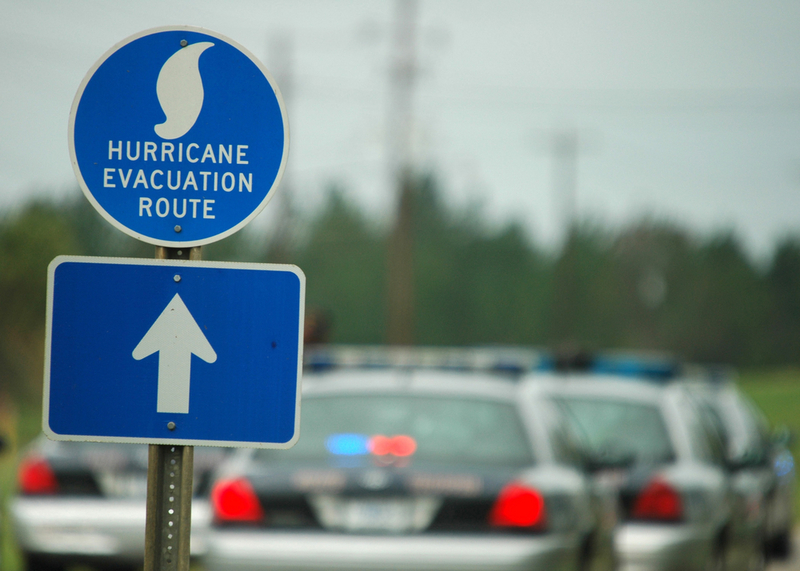 MYTH: 84% of respondents believe hurricane evacuations are based on wind speed. FACT: Hurricane evacuation zones are defined by the threat of storm surge and inland flooding rather than wind speed or hurricane category, because storm surge is the greatest threat to life and property. The National Hurricane Center determines evacuation zones by analyzing an area's ground elevation and vulnerability to storm surge. If you live in an evacuation zone, keep in mind that tropical storms, Category 1 and 2 hurricanes, post-tropical cyclones, and Nor'easters can all cause storm surge. 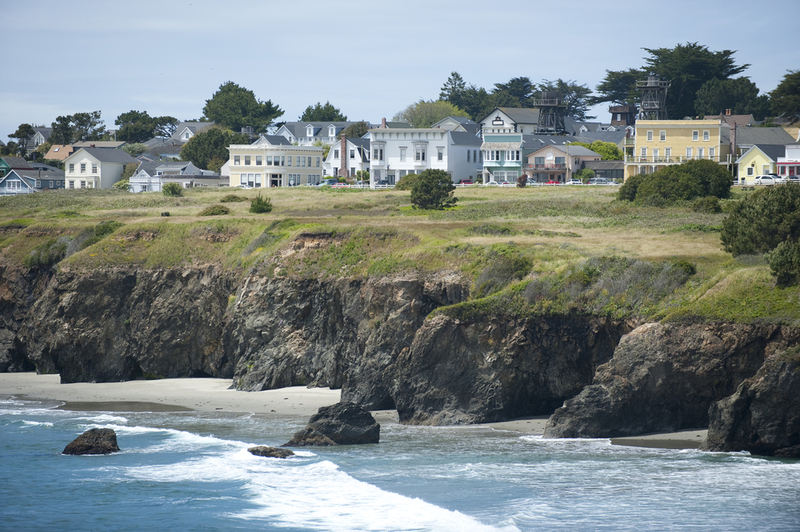 MYTH: 81% of respondents believe building codes are stronger for coastal communities. FACT: Coastal communities -- those with the greatest potential for hurricanes -- do not use stricter residential building codes to mitigate hurricane damage. This is especially troublesome because 27% of homeowners believe homes built to code won't sustain damage from a hurricane -- which is also false. MYTH: 69% of of respondents believe strengthening their homes against hurricanes will cost them more than $10,000. FACT: Retrofitting your home to be stronger during hurricanes can prevent you from having to spend thousands in repairs after a storm hits -- and can cost as little as $1,100. With that amount, homeowners can brace garage doors, install plywood shutters, and seal the roof deck to reduce wind uplift. Garage doors can be braced for as little as $150. Windows and sliding glass doors can be protected from flying debris with temporary plywood shutters, which range in price from $275 to $750. You can also use corrugated steel or aluminum shutters which range from $7 to $15 per foot. A peel-and-stick water barrier can be applied when getting your roof redone to prevent water intrusion for as little as $750. When putting a roof on a new construction, hurricane straps and clips can be applied for 50 cents each to prevent the roof from flying off. 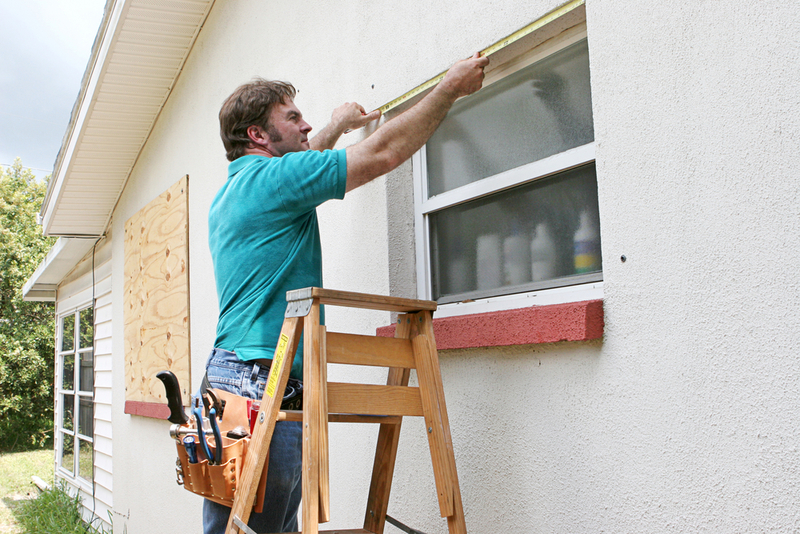 MYTH: 54% of repondents believe taping windows with masking, duct or "hurricane" tape helps prevent hurricane damage. 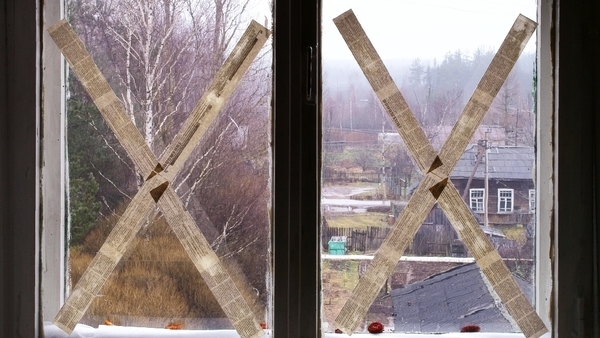 FACT: Taping windows does not stop windows from breaking during a hurricane. It wastes preparation time and does not make clean up easier. Tape can actually create larger shards of glass and cause more injuries. The best way to prevent windows and doors from shattering or caving in is to make sure they are constructed with impact-resistant materials. Temporary plywood storm shutters are a good option for an emergency -- just don't waste your time taping.